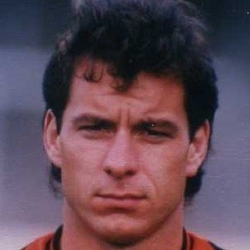 Freddy's career started at BVV Den Bosch, where he made his debut aged 17 against Haarlem in February 1985, and went on to make over 150 appearances for his hometown Club over the next four years, playing mainly as sweeper. Joining United for around £200,000 at the end of July 1989, the versatile defender made his first appearance a few days later in an away friendly against East Stirlingshire, and was introduced to the fans at Tannadice in Paul Sturrock's testimonial match against Real Sociedad, where he immediately became a hit with the fans. 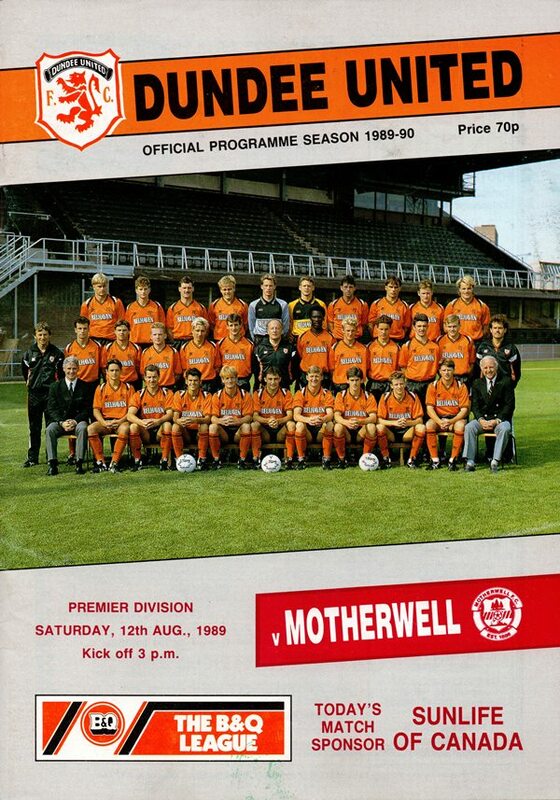 His competitive debut followed in the opening league game of the season against Motherwell at Tannadice. 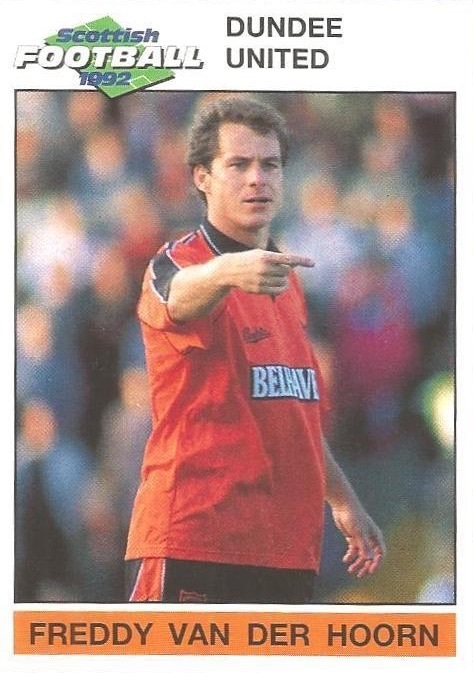 Part of a new defensive set-up that mostly contained the likes of John Clark, Maurice Malpas and Miodrag Krivokapic, Freddy was seen as a more experienced player to help bring through the young players coming through at Tannadice as Jim McLean rebuilt the side. A regular in the line-up over the next five years, in August 1990 he was chosen to represent a Scottish League select against Scotland at Hampden Park in a match to celebrate the centenary of the Scottish Football League. He returned to the national stadium at the end of that season, playing for United in the Scottish Cup final, where his free-kick hit the post early on as United eventually lost out to Motherwell, with Freddy collecting a runners-up medal and a red card after the final whistle. 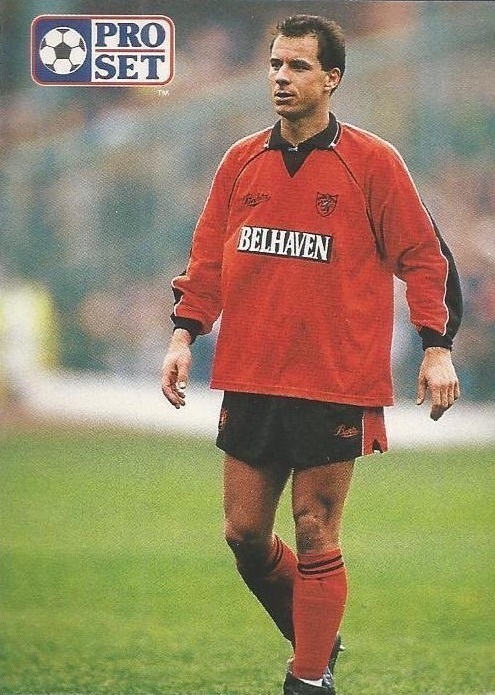 Although still part of the first team squad, he missed out on the winning Scottish Cup final of 1994 after losing his place in the side in February that year, his last match being the 4th Round 2-2 draw with Motherwell. He was transfer listed just after the cup final and a month later signed for Belgian side Eendracht Aalst for £90,000. In 1996 he returned to Den Bosch, where he took up a coaching position after retiring in 2002, becoming caretaker manager for two short spells in 2005 and 2009, and eventually became Director of Football. Freddy was born on this date in Den Bosch, Netherlands. Newcomer Peter Hinds made his Premier debut in this match and although his name doesn't appear on the scoresheet, he was very impressive and had a big hand in our winning goal. We started off like a train and created numerous chances before taking tho lead after only seven minutes. Freddy van der Hoorn collected a loose ball some thirty yards out and powered in a low drive which beat Westwater and went via the inside of the far post. It might have been two nine minutes later when Westwater appeared to drop a cross and Peter Hinds knocked the ball into an empty net, but the referee ruled that Westwater had been fouled. There was a rude awakening for us in the 33rd minute when Sharp crossed for Ross Jack to head in strongly. Five minutes later we were back in front. Freddy Van Der Hoorn's cross from the right was headed down but blocked by Westwater, but Michael O'Neill was following up and had the simple of task of netting. Atonement for that Skol Cup defeat was upper most in our minds as we faced Dunfermline four days after their freak 3-1 victory over us at East End Park. Within a couple of minutes Rhodes had twice been in action. First from Gary Bollan and then to keep out a deflected shot from Freddy Van Der Hoorn. Although it was United in those early stages, Dunfermline almost sneaked ahead in the 11th minute, but Alan Main tipped over a Gallacher header. That, however was the only serious action Alan Main was to be involved in during the whole match. Rhodes saved well from Billy McKinlay in the 27th minute and was then happy to see Duncan Ferguson send a shot just wide of the target. A goal, however, was only delayed and in the 32nd minute Maurice Malpas found Billy McKinlay who rolled the ball into Dave Bowman's path and he sent a right-foot shot curling into the top left-hand corner. It was one way traffic now and twice Rhodes saved from Billy McKinlay before the interval. From the moment that Billy McKinlay charged up the field on a cavaliering solo run you immediately got the feeling that this was going to be an impassioned cup tie in a highly charged atmosphere created by the big crowd. Motherwell looked to be a great deal more adventurous than in the previous week's league encounter, but it was United who created the better of the early chances as the long legs of Dykstra blocked Scott Crabbe's angled drive.